Most independent kitchen showrooms who sell AEG appliances will offer you a free 5 year guarantee on the appliances. However, if you buy them online, you’ll only get a 2 years. The showroom have the appliances on display so you can touch & feel them. Even if they don’t have the exact model you want on display, you’ll get a good idea of the build quality of the range from a similar model. Showroom staff will offer help & guidance on the features and benefits of the appliances. Plus, they’ll usually recommend the appliances they feel best suit your requirements. Independent showroom’s work on much lower profit margins than the big chains on granite, quartz & Corian worktops. So, unlike the big chains, who are usually much more expensive than third party suppliers, Independent showrooms are usually little more than £200 or £300 more than third party suppliers. Shading differences. Sometimes, quartz worktops will arrive with noticeable shading differences between runs which look unsightly. Unfortunately, when this happens, many quartz suppliers will refuse to replace the worktops. Instead, they’ll inform you that shading differences are common. Then they’ll tell you that their terms & conditions state that they can’t be held liable for shading differences. However, if you’d bought your worktops from an independent kitchen showroom & this happened, they’d normally replace them without any fuss. Faults in the stone. Sometimes quartz or granite worktops can have faults. Again, when this happens, many quartz or granite suppliers will refuse to replace the worktops. Their argument will be that the faults are not faults, but instead are natural markings which is common. They’ll then tell you that their terms & conditions state that they cannot be held liable for them. Again, if you’d bought your worktops from an independent kitchen showroom & this happened, they’d normally replace them without any fuss. Low quality quartz that stains & chips. 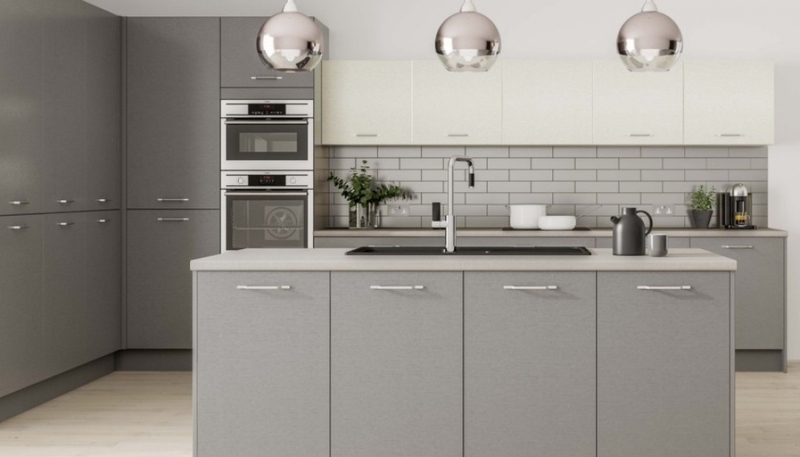 When you buy quartz worktops from a showroom, they’ll usually offer you either a good quality brand of quartz or an unbranded quartz they know is decent quality. This means your quartz worktops will contain a very high quartz content & will therefore be very unlikely to stain or chip. However, when you buy your quartz from a third party supplier, many will offer you either an inferior quality brand of quartz, or, a low quality unbranded quartz. Both will contain a much lower quartz content & be more likely to satin or chip. Some suppliers will even quote you for a good quality brand of quartz but supply you with a low quality unbranded quartz. Although this is fraud, most consumers will never know. Risk of damage to the kitchen. Sometimes, when a company installs granite or quartz worktops, they’ll accidentely hit one of the doors or panels on the units. If this happens, you’ll need to pay for a replacement. This can cost anywhere between £100 & £700. Plus, you may also have to pay someone to come back to remove the old door or panel & fit the new one. 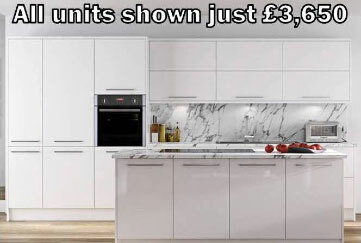 However, If you’d bought the granite or quartz from an independent kitchen showroom, they’d be liable for the cost of the replacement door or panel. 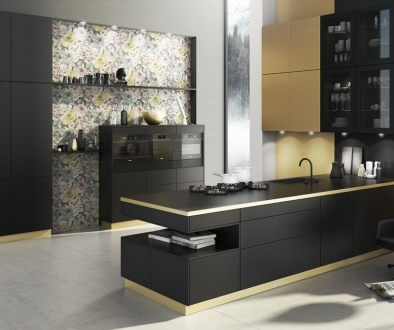 If you want to ensure you get the kitchen fitted to the highest standard & as quickly & painlessly as possible, it’s best to use the showroom’s fitters rather than a builder. 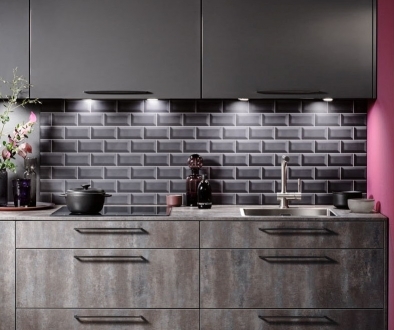 Builder’s may tell you they’re expert kitchen fitters, but they rarely are. In fact, when problems do arise with kitchen projects, it’s usually when a client’s builder is fitting the kitchen. The good news is that most independent kitchen shworooms charge less than the chains for fitting & similar to what builders charge. Therefore, it shouldn’t cost you any extra to get your kitchen fitted properly by expert kitchen fitters rather than a builder. How do Crown kitchens compare to others in terms of price and quality? 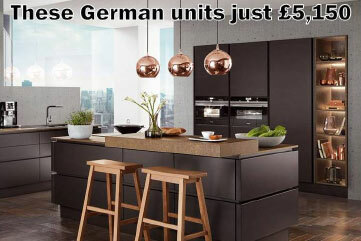 How do Schuller Kitchens compare in price & quality to other German kitchen brands?